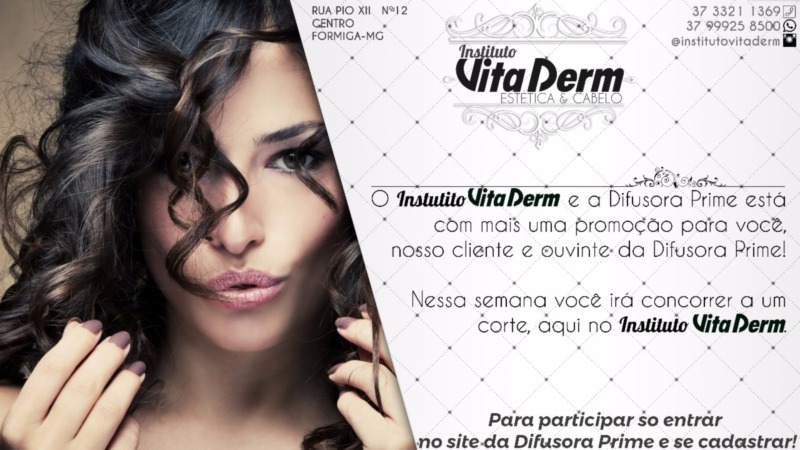 A DIFUSORA PRIME E INSTITUTO VITA DERM VÃO TE PRESENTEAR COM UM CORTE DE CABELO. CADASTRE-SE EM NOSSO SITE E CONCORRA. SORTEIO SEXTA DIA 25 AS 16:00 HORAS. BOA SORTE!